Ribbon Roses -- Michael's Stores, Inc. The new Shape Shakers from Hampton Art & Jillibean Soup have been hitting the stores and we've heard you LOVE them! We do to!!! If you haven't seen them yet, they are a collection that has die-cut cards, shaker containers, stamps, dies and sequins. These components make creating shakers so EASY! I've broken down how to use the different elements of the collection into pictures. At the end, they are all pulled together into a short video. 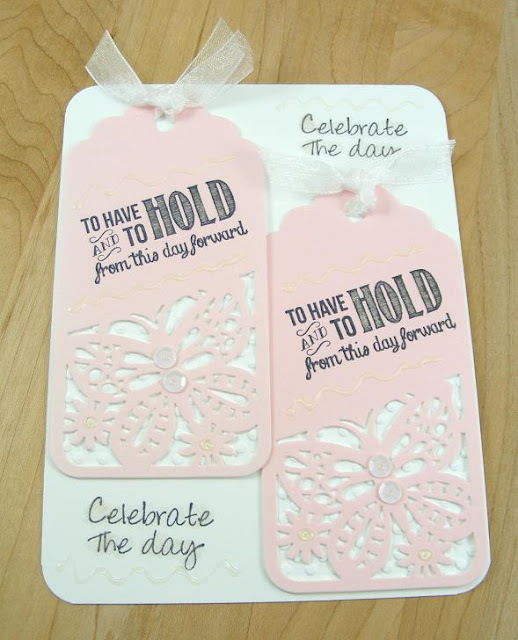 STEP 1: Stamp on the die-cut card base. STEP 3: Remove the paper backing to expose the adhesive on the shaker. 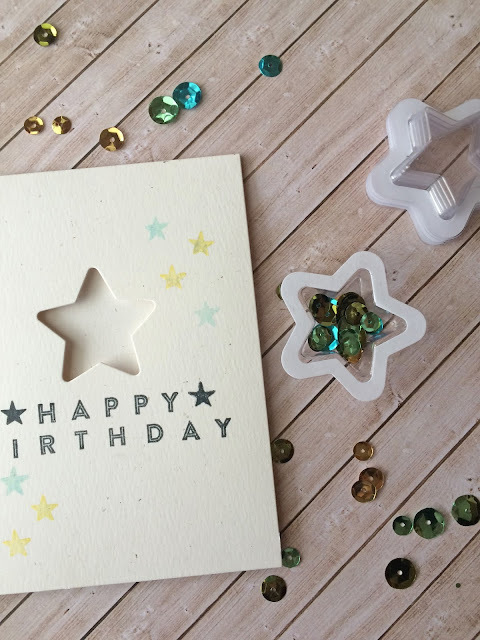 STEP 4: Open the card and drop the shaker into the die-cut opening of the card. STEP 5: Close the card. STEP 6: Press & Rub the back of the card to make sure the shaker is attached. STEP 7: Open the card to see the shaker attached to the inside of the card. STEP 8: Close the card and finish embellishing the front. You are READY TO SHAKE!!! I can't wait to see what you guys create with them! 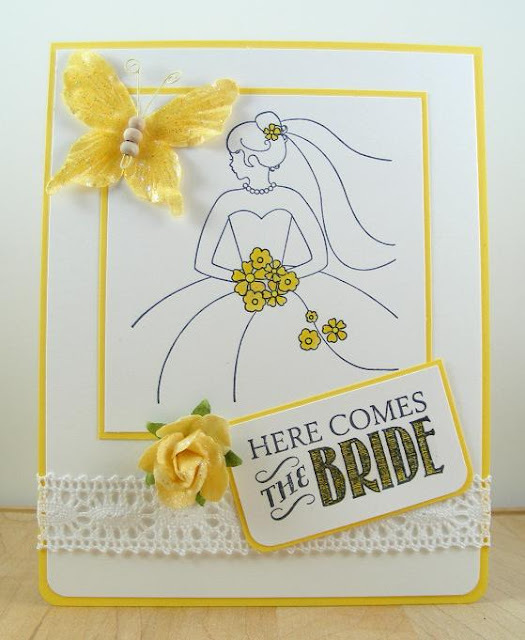 Flower, Butterfly & Lace -- Michael's Stores, Inc. Sometimes I like to tuck a mini card into a lunch box or a pocket for a little pick-me-up. 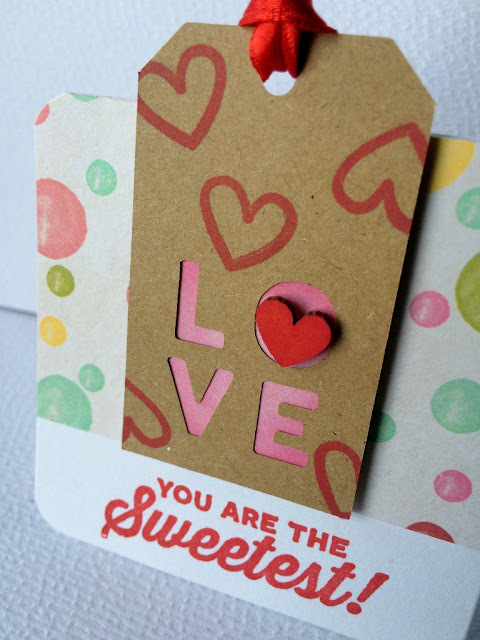 Here is the third in a trio of quick and easy mini cards in a valentine theme using a new Jillibean Soup clear stamp set, kraft tags and Hampton Art mini cards. 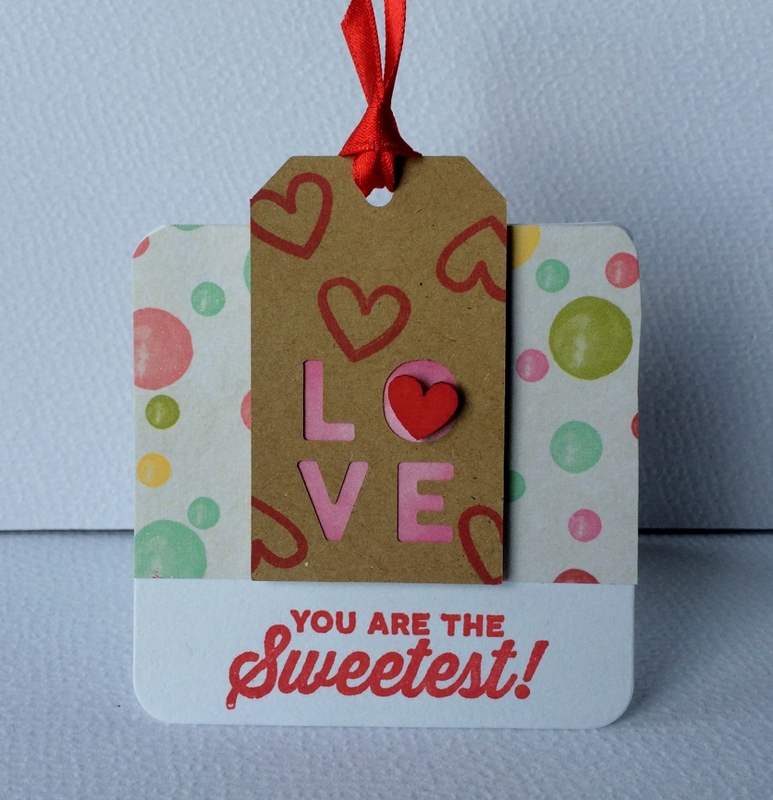 Last I added a red satin ribbon to tag hole and one wood veneer heart for added texture. 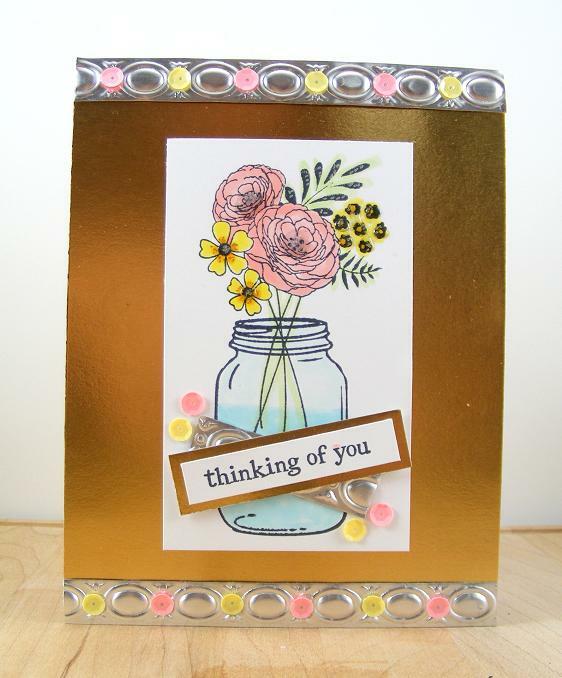 It is super easy and quick to create fun mini cards like this. 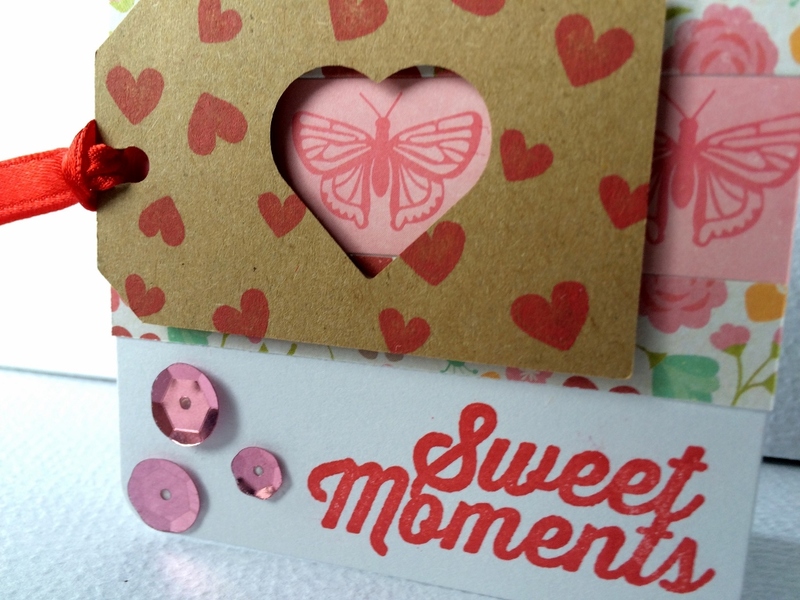 Make a stash of mini valentine cards today! 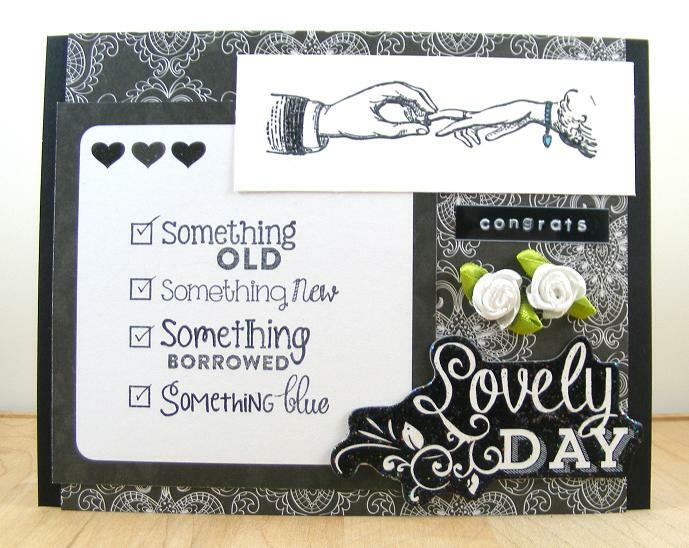 Sometimes I like to tuck a mini card into a lunch box or a pocket for a little pick-me-up. Here is the second in a trio of quick and easy mini cards in a valentine theme using a new Jillibean Soup clear stamp set, kraft tags and Hampton Art mini cards. 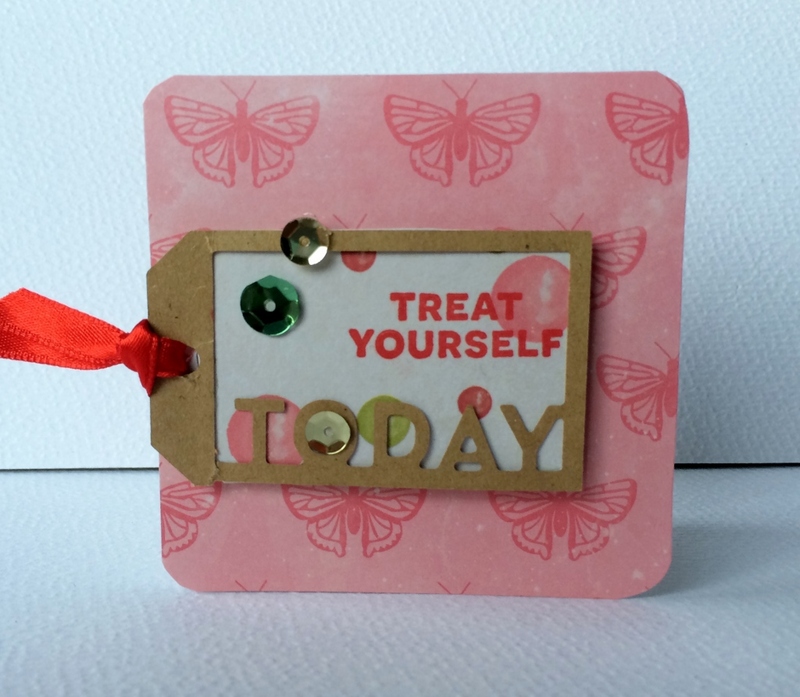 Beginning with the plain white mini card I first covered card base with the pink butterfly paper. 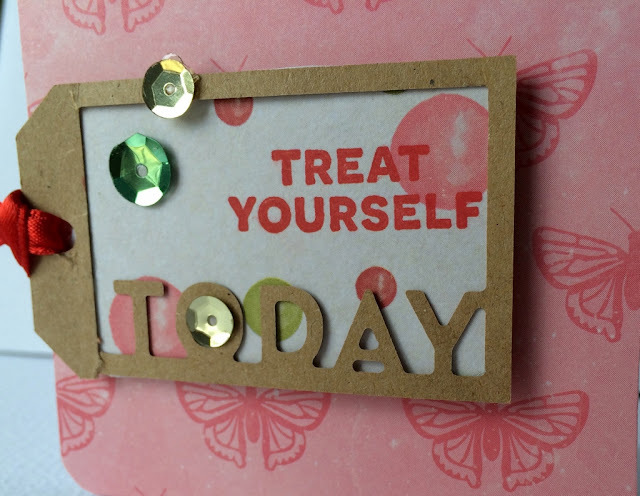 Next I grabbed the multi-color bubbles paper and stamped in red ink the “treat yourself” sentiment. Then I cut that out to fit as a backer behind the kraft today cut out tag. Then I attached it to the card front as shown with foam dots. Last I added a red satin ribbon to tag hole and three sequins for a little bling. 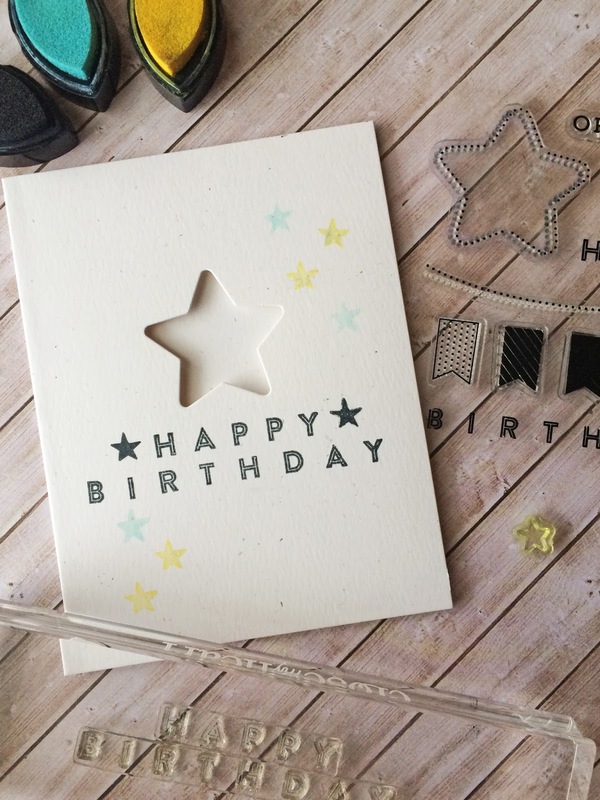 Treat yourself to some craft time today. Make a stash of mini valentine cards! Welcome to Valentine season! 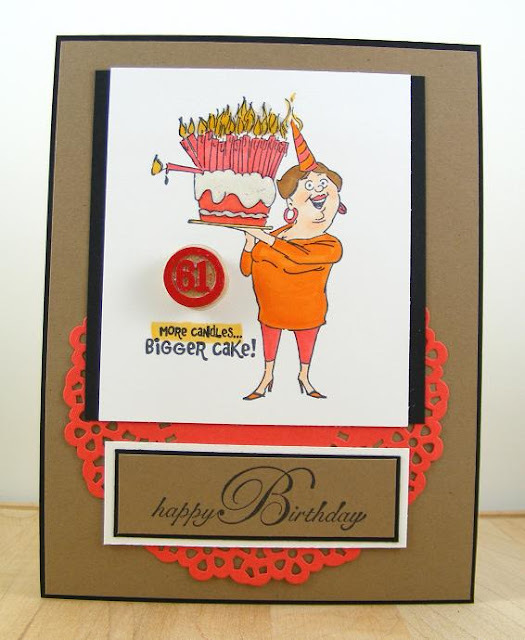 Here is a cute card using some brand new Jillibean Soup and Hampton Art tags, stamps and papers. 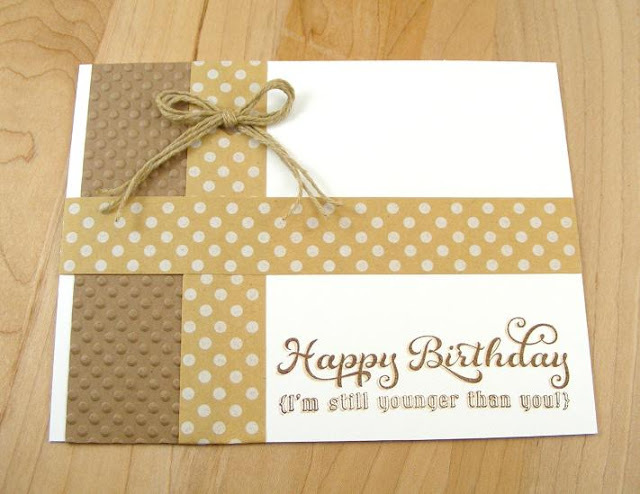 The card base is a 5” x 7” white card stock. Then I chose the blue, pink and red patterned papers to coordinate with the denim tag and red stamped ladybug and sentiment. The border strips were cut in different heights some 3/4 “ and some 1” and all 4.5” long. 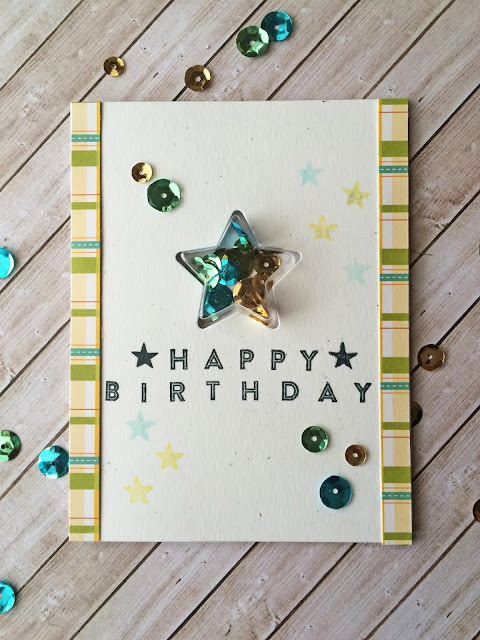 I used the white brick paper as a mat and stitched the borders for added texture. Then I zigzag stitched the denim tag across the bottom in white thread. I adhered the white brick mat to the card front. 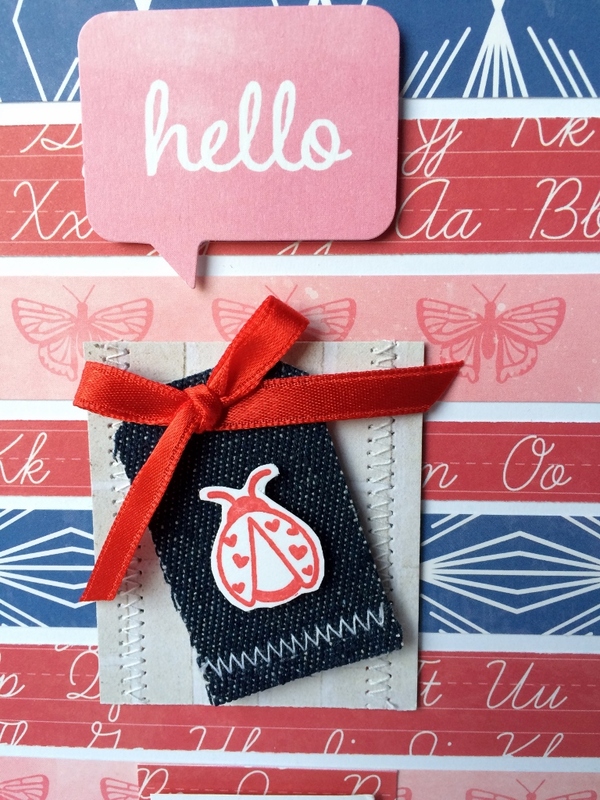 Next I stamped the ladybug and sentiment onto white cardstock in red ink and cut out as shown. The fussy cut lady bug was then added with foam dot to the denim tag. 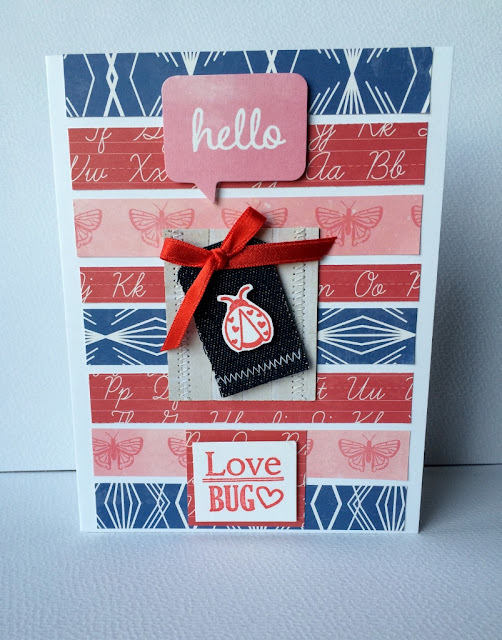 I cut the Love Bug sentiment out in shape of a square and added the red mat then adhered with a foam dot. The hello word bubble was added from the pea pods set of Summer Red Raspberry Soup with foam dots as shown. Next I tied a red satin ribbon bow and adhered with glue dot to the top of the tag. A handmade valentine is the final result, sure to bring a smile to your chosen Love Bug.